• Sending out special e-mails daily to over 3,000 of my personal potential buyers. These including pictures, summaries of listings, along with general and helpful information with direct links for client’s questions regarding the listings they receive. • Track all clients by the type of property they are interested in, and then quickly contacting them when the “right” property comes on the market. • Hand-deliver just listed notices to every Real Estate Office in the area for each new listing. 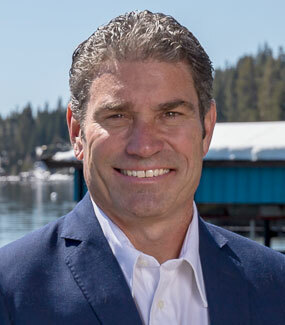 • Tracking every client that we encounter to determine how they found out about Century 21- Tahoe North, Realtors. The results of this tracking system are used to spend our marketing dollars where they can be the most effective. With 95% of Lake Tahoe homebuyers searching online and 72% using their mobile phone online during their dream home search, it makes sense to spend your dollars on internet exposure. The real estate industry is competitively targeting where clients go to search and consume information. We want to be seen by customers at the very moment that they’re searching on Google for real estate in our area. We use specific Google Adwords that are used as keywords that match the client’s text, which then places our ads at the top of the search results. Thus, helping people reach our business faster, seeing your listing first and redirecting them to our website. The percentage of prospective clients using the internet or a mobile device to search for properties provides the need for a well-updated website. Our website adds new listings immediately, so your property has the best opportunity to be seen quickly. We are proud of our easy to use website that has access to all coming soon, featured, and sold listings as well as an informative real estate blog to keep our clients up to date on all real estate happenings in our area. Being a Century 21 branch, we also have the extra advertising power of being seen nationally. Through the use of broadcasts on TV, sponsorships, online listing and social media, Century 21 is a brand name you won’t forget.